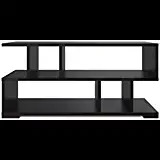 The price for Valtos Engineered Wood TV Entertainment Unit ( Finish Color - Brown ) is valid across Bangalore, Hyderabad, Chennai, Mumbai, Delhi, Pune and Kolkata. The Valtos Engineered Wood TV Entertainment Unit ( Finish Color - Brown ) is available at best price of INR 2999 on Amazon. Nice product new buyers can trust this brand, installation done before scheduled date and product size and quality is same as per description, totally worth buying, bought it for 2700Rs in diwali sale. Got this for 2700 during diwali sale... Product received matches the description.... Appreciate it. Quick delivery by flipkart...Awaiting installation. Bought it for 2700. product is good and value for money.